Repairing lock services is a service provided by LockTech24/7 in Easton, Allentown, and Bethlehem, PA. In addition, we serve the entire Lehigh Valley, PA.
A lock and key problem can happen without notice or sign. Therefore, many times when you need lock repair service, you may need emergency 24 hour locksmith. When your lock is no longer functioning properly, and you concern that it’s no longer protecting you, then it is absolutely a time to call a professional locksmith at LockTech24/7 to repair it. One thing to consider when your broken lock is beyond repair, maybe you would like also to upgrade your security? We can replace your broken lock, and in this case, we can match the existing key of your home or office to the new lock. It is very easy to find when your lock is no longer working the same way as it used to work previously. Some locks need to be repaired due a lot of pressure with your door frame, while others simply break off because they are old and rusty. Don’t put your safety & security at risk by not repairing your lock correctly. We can repair all lock types, brands & models. Call our mobile locksmiths to repair a lock, quickly and efficiency. Many lock problems can be solve before they get into a major issue. Often, a malfunctioning latch or bolt mechanism causes the problem. In other cases, the alignment of the bolt with the frame got unbalanced. If the the lock is dirty or dry, this could cause problems, too. We recommend to lubricate the lock with WD-40 before calling a locksmith. For serious lock problems, it is usually recommended to call a locksmith. However, if you look for a locksmith company in Easton, we can help. 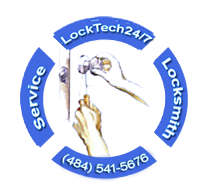 Repairing lock service is the expertise of LockTech24/7 locksmiths. We can repair almost every lock, replace internal parts to make it works like a new lock, again. Broken Lock Cylinder Or Part – When part of your lock break off, your lock become malfunctioned. When this happen, we can come to replace the broken part of your lock, in order to repair it. Broken Key Inside The Lock Cylinder – Think about the moment when you arrive home late at night, trying to unlock your deadbolt, but the key snapped and break to half. You have the head of the key in your hand, but the entire key shank is stuck inside the cylinder. In this case, you’re also locked out at the top of the broken key and lock problem. Please call us in case you broke the key and you’re locked out. We will arrive within 20 minutes to unlock your door and repair or replace your lock. Broken Latch Or Bolt – This is very common problem with locks you buy from the local hardware store. If the door is unlocked, this can be an easy fix, but if the door is locked, this can be a major issue.